Salmon is one of my favorite quick and healthy summer dinners. In the summer, I grill salmon with either a light coating of olive oil and minced fresh rosemary or an herbed butter. 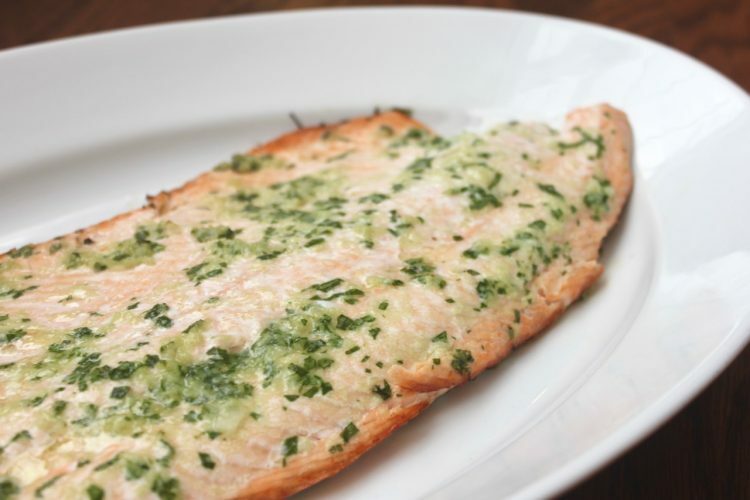 Salmon cooks incredibly fast on the grill, depending on the thickness of the salmon fillet. So there is just enough time to throw together a salad before dinner is ready! The number of servings depends on size of salmon fillet. A 4-oz piece of salmon is the recommended serving for adults, which is approximately the size of an adult palm. 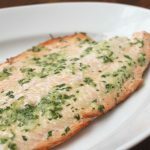 A simple and delicious grilled salmon recipe your whole family will love! Nutrition information based on a 4-oz serving of farmed Atlantic salmon. Interested in learning more about the nutritional differences between farmed and wild-caught salmon? I know, right Farrah? Salmon is delicious and try to remind myself that it is much more affordable when I cook it at home! Thanks for reading! What an easy way to prepare salmon. Love it!